The Full Time Key Holder is a key employee in maintaining good customer service. Key holders will be taught the skill of monogramming and will learn how to monogram Clare V. merchandise in store as needed. The Full Time Key Holder is a key employee in maintaining good customer service. They are responsible for serving customers and accurately recording all sales, as well as assisting with merchandising responsibilities such as stocking, pricing and keeping the store neat, clean, and organized. They support the operation of a profitable business through successful floor supervision and are capable of opening and closing shop responsibilities as well as following through with policy and various processes. Key holders will be taught the skill of monogramming and will learn how to monogram Clare V. merchandise in store as needed. This role reports to the Store Manager. All qualified applicants should submit their resume and cover letter to Masha@clarev.com. The Key Holder is a key employee in maintaining good customer service. 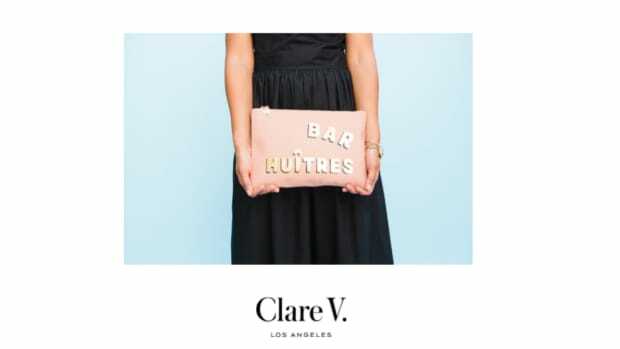 The Monogram specialist is trained the skill of monogramming and personalizes the Clare V product in store, as ordered. A beautiful play on classic shapes, modern detail and Parisian charm, the Clare V. line continues to evolve with each new collection. The Key Holder supports the operation of a profitable business through successful floor supervision and is capable of opening and closing shop responsibilities. Clare V., a line of stylish and functional handbags and accessories for both men and women, is searching for a Part-Time Keyholder & Monogram Specialist for our Nolita store.